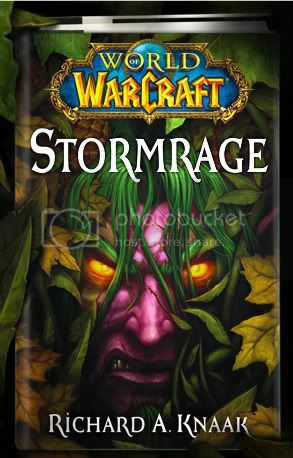 Crazy about the World of Warcraft lore? 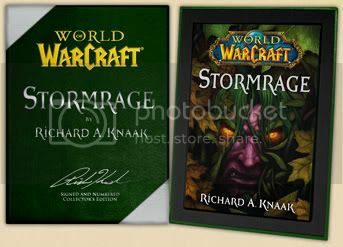 You might want to pre-order this upcoming novel from New York Times best seller Richard Knaak which covers one of the most powerful characters to shape the World of Warcraft, the Night Elf Arch Druid Malfurion Stormrage! Scheduled to be shipped around the week of March 8th 2010 with a collector's set that includes a leather gift box. The price? A measly $32 plus taxes and shipping of course. But with a leather gift box and a whole lot more who're we to complain right? Let's wait a while, I'm sure Fully Booked will have copies of these in no time. But you might want to keep an eye out as this will surely fly out a soon as it gets displayed. Hungry for more details? Take the jump! I'll even show you where to get a peak at a few pages. 32 USD goes a long way for this collector's set. Here's what you get for your hard earned dough. Still not convinced? Here's a SNEAK PEEK at a few pages to get your blood running. Still not enough? Here's SNEAK PEEK 3!